We had a great first term in Rowan Class. 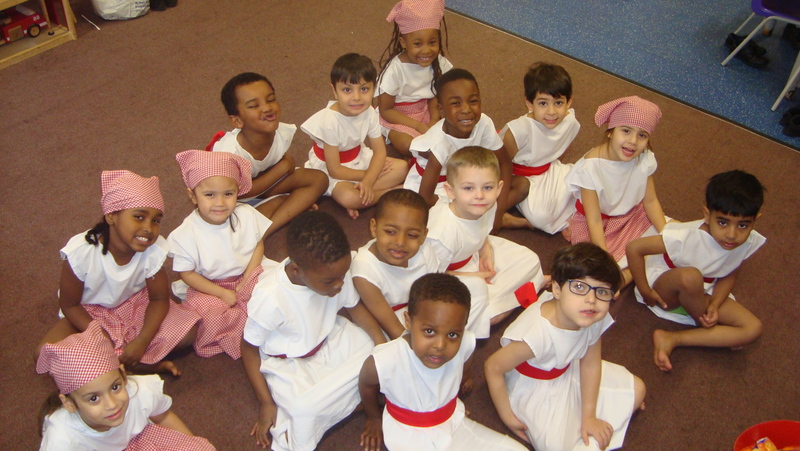 Some of the highlights were, learning on the Scrubs and we performed in the Nativity play. We are getting better and better at reading and writing with our letter sounds. Please practice reading with the Reading Pack as often as you can. We recommend reading for 10 minutes everyday. This term we are thinking about animals and their homes. We are also thinking about the homes we live in. We will be going back to the Scrubs to build animal homes. Watch this space for more photos! 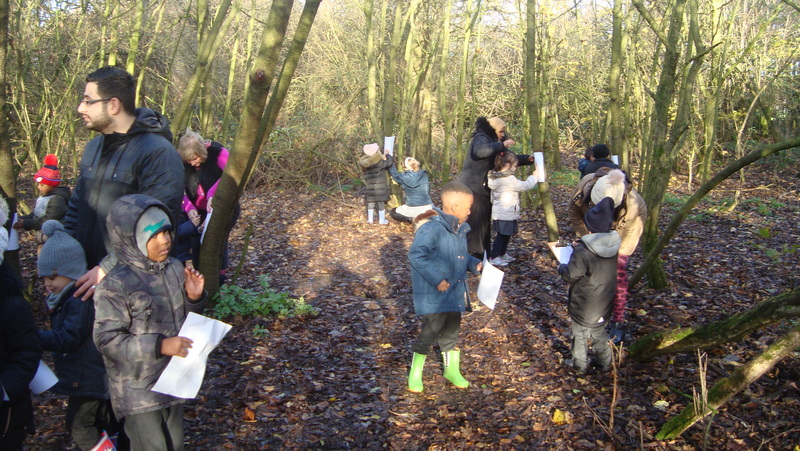 The Reception classes had a great time on the Scrubs doing bark rubbings and drawing the trees to finish off our book Stanley's Stick. 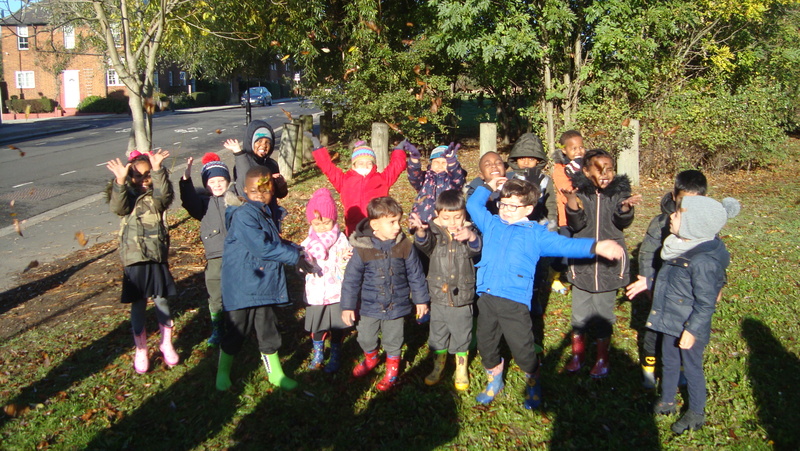 Reception class are working with Urban Wise this month on Wormwood Scrubs. We have been learning and discovering. 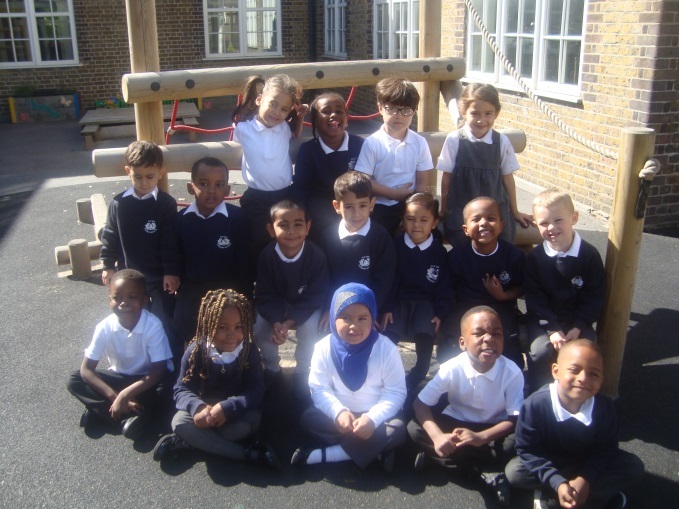 We have had a great start of term, everyone has settled in and is getting used to the routines of Reception. We are most excited about our new P.E. sessions! This term we will be talking about ourselves, our families and finding out what is inside our bodies. Later on this term we will be exploring Wormwood Scrubs with Urban Wise and enjoying learning outside. We are also extremely lucky to have the Royal College of Music visiting us each week this year to run music sessions with us. Welcome back to Rowan Class for the Spring Term! We will post an update on our progress later in the term. We have had a great half term in Rowan class. We have now fully settled in to Reception and are thoroughly enjoying ourselves! Last term we thought about the book ‘Stanley’s stick’. 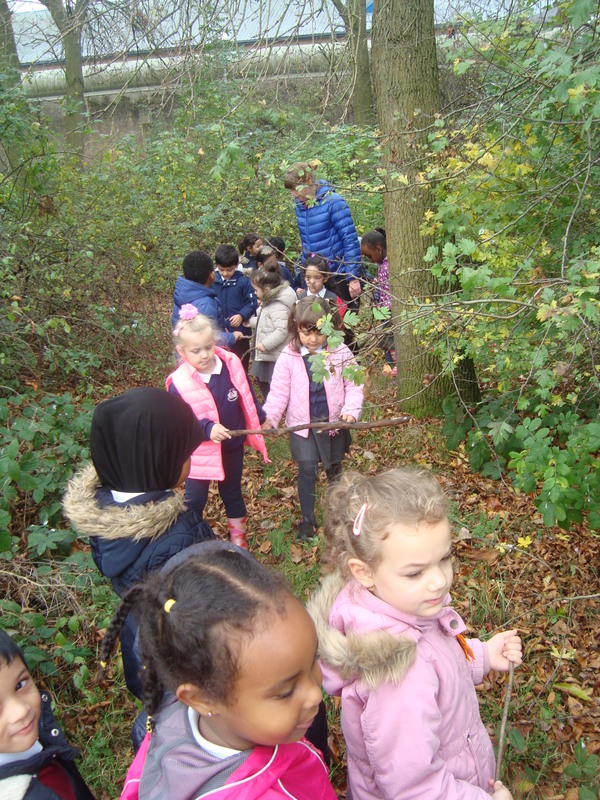 We went on a walk to the Scrubs to find sticks that we can use to decorate and tell imaginative stories. We also looked for signs of autumn. This term we are going to be thinking about what people celebrate all around the world and what we celebrate with our families. 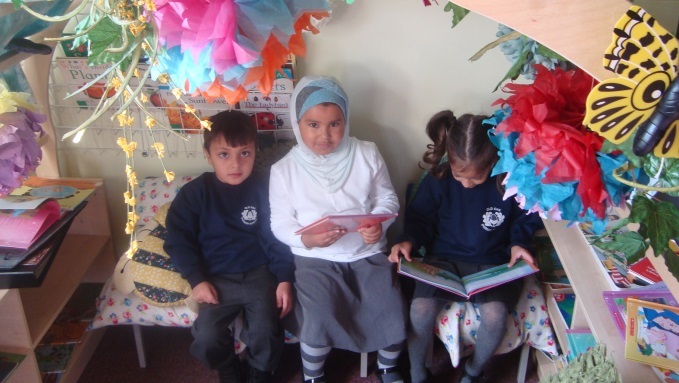 We will also be starting to read books.